28 Cape Codder Road 109BU, Falmouth, MA 02540 (MLS #21902230) :: Rand Atlantic, Inc. Extraordinary in every way! As you enter the foyer you'll be drawn to the spectacular ocean views before you. Completely renovated in 2005 w/ custom appointments throughout. Impeccably maintained and occupied 5 months per year. 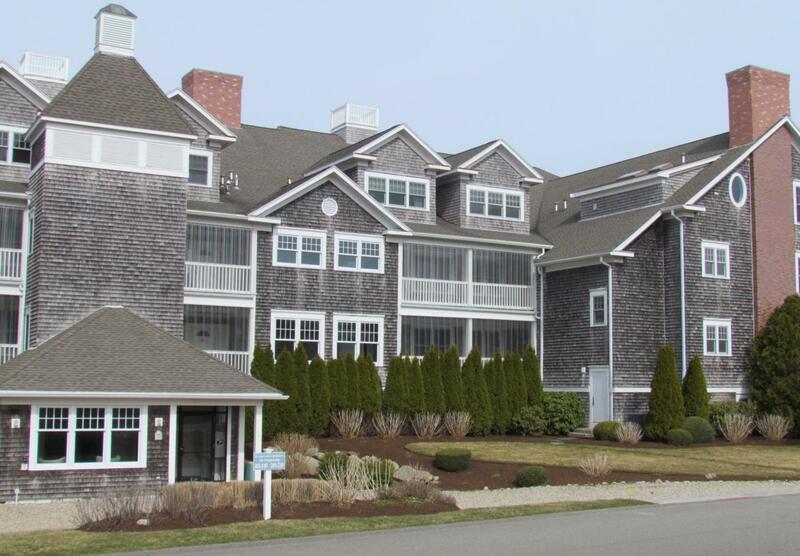 This corner unit features 20 windows spanning 2 full walls w/ westerly views of Buzzards Bay. Enjoy one level living, covered parking, and an elevator for convenience. A discerning chef will enjoy Sub-Zero and Thermador appliances such as double wall oven, warming drawer, 2 addl refrig drawers, wine refrig, etc. and glass tile mural back splash by a local artist. Two spacious bedrooms w private baths, maple flooring, security/temp alarm, natural gas, 2019 HVAC, and so much more. Indulge in sea breezes and ever changing sunsets from your covered porch.Enjoy the heated salt water pool and hot tub, or meander down to the association beach. The Community Center features a fitness/weight room, a large beamed ceiling great room complete with fireplace, gas grill, and refrigeration for gatherings. Take in a match while relaxing on the porch which overlooks the professionally maintained clay tennis courts below! Listing provided courtesy of Susan M Lawrence of Kinlin Grover Real Estate.